On 25 October 2018 Bombardier Transportation Delivered its 40th TRAXX MS2 (multi-system 2) locomotive to its customer Metrans. This milestone was honoured with a ceremony that took place near Prague in the Czech Republic at one of Metrans’s container terminals. 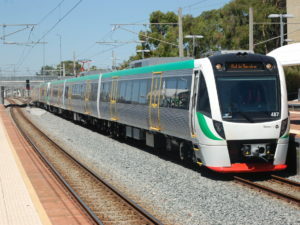 Metrans is a privately-owned rail transport provider. It is a subsidiary of Hamburger Hafen und Logistik AG (HHLA), a logistics and transportation business that operates three terminals at the Port of Hamburg, Germany. Bombardier received the order for the locomotives in 2014. HHLA says the delivery of this locomotive brings the total number of locomotives owned by Metrans to 80. Metrans requested multi-system locomotives (TRAXX F140MS) that are able to cope with different voltage supplies and train protection systems (15kV and 25kV AC and 1.5kV and 3kV DC) so they can operate across the European rail network. Bombardier says its TRAXX locomotives are highly efficient in their tractive force and they boast low energy consumption. They are reliable and offer great value over the service life of the locomotive. Metrans says it will primarily use the locomotives between the North Sea ports of Hamburg, Rotterdam, Bremerhaven and Antwerp and the Czech Republic, Slovakia and Hungary. “Our own fleet of locomotives enables us to better control our harbour-to-depot transport processes between North sea ports and central and eastern Europe. 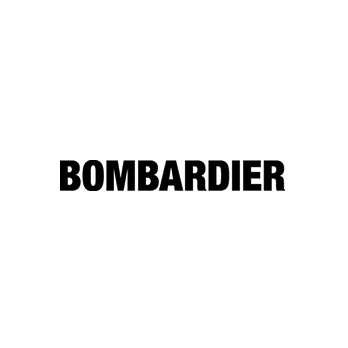 Designed for operation on Europe’s varied voltage and control systems, Bombardier’s TRAXX locomotives offer the ideal blend of performance and flexibility to meet this need. “Our stron grelationship with Metrans and HHLA has enabled us to extend the TRAXX MS2 locomotive’s radius of operation to include the Czech Republic, Slovakia and Hungary. In the first half of 2018 Metrans moved 13,000 container trains across Europe.